I don't think I've ever posted an item regarding Kew Gardens. 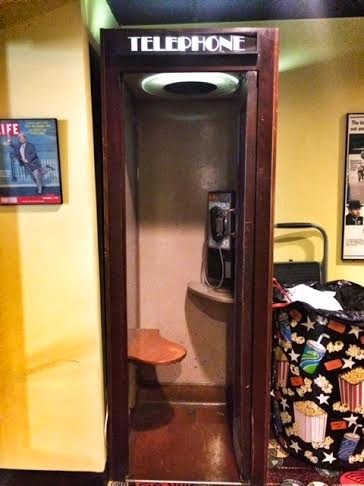 Well, that changes today, as a kind reader sent me this photo of a wooden phone booth on view inside Kew Gardens Cinema. Great sighting Brooks! This one even has the little seat...AND a phone! And an overhead light. Very cool.